Danxia's "Have You Had Your Dinner?" It is as small as a particle of flour, as cold as ice and frost. It fills the universe, transcends light and darkness. Its depths cannot be fathomed, its summit is beyond reach. Holding fast and letting go are all contained within it. Where is your absolute freedom, transcending all restrictions? Danxia asked a monk, "Where have you come from?" The monk answered, "From the foot of the mountain." Danxia asked, "Have you had your dinner?" The monk said, "I have had it." Danxia said, "Is he open-eyed who brings food to a fellow like you and lets you eat it?" Later, Changqing asked Baofu, "To give food to others is surely worthy. How could he fail to be open-eyed?" Baofu said, "Both giver and receiver are blind." Changqing said, "Are you still blind, even though you exhaust every means?" 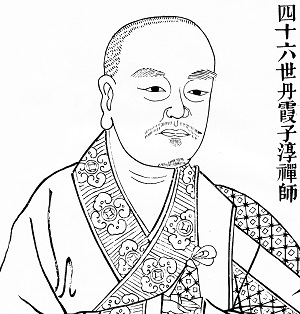 Baofu said, "How can you call me blind?" You hold the cow's head to let it graze. Holding an ox head feeding it hay. Their precious vessel, brought forth, becomes a mistake. Raising dust and trouble to make people drown on land. The mistake is serious; there is nowhere to search. In the heavens and the human world they sink alike into oblivion. After Mazu's death, Danxia went on a journey visiting Zen masters, and one winter's day he stayed at a certain temple. It was very cold that night. Danxia took down a wooden statue of Budha from the platform, put it in the hearth to burn, and warmed himself at the fire. The priest of the temple reproached him for his audacity. Danxia said, "I am going to take out the Buddha's bones." "How can you get the Buddha's bones from the wood?" the priest asked. Danxia said, "Then I am not to blame for burning the wood." When he was 81-years-old Danxia retired to his temple at Mount Danxia in Hunan Province. One day, four years later, he said to his disciples, "I am starting on my journey." He equipped himself with hat, leggings, socks, and staff, and put on a shoe. Before his foot touched the ground he had died. (1) Blindness of the ordinary unenlightened person. Such a person has no eye whatsoever as far as the Dharma is concerned. (2) “Obstruction blindness” which includes all deluded thoughts, philosophies and distinctions which prevent us from seeing things as they really are. It is not simply a matter of lacking an enlightened eye; we are prevented from seeing clearly by all the collected philosophy and thoughts accumulated in our heads. (3) “Still blind”, the blindness of the person who has yet to see the truth although he is devoting himself wholeheartedly to Zen practice. (4) “Authentic blindness.” When we encounter the essential world, we can see nothing because there is nothing to see. This is authentic blindness. (5) “True blindness.” At this point, even the eye of satori is blind. We have completely forgotten such unnatural matters as satori and become completely ordinary. This is the best form of blindness. This is “the eye of the Buddhas of the Three Worlds.” The Buddha has passed through the other stages of blindness to eventually reach this state of true blindness. “Where have you come from?” This is a fearful checking question. To give food to begging monks was and is considered a meritorious deed from a Buddhist standpoint. “Giving rice” has the further meaning of revealing the Dharma. These two, giving rice and transmitting the Dharma, are acts of great merit. How, asks Changqing, could they be said to be blind actions? This question shows that Changqing was not yet truly enlightened. "Both the one giving and the one receiving are blind." With this reply, Baofu saves this koan from oblivion, for otherwise it would be impossible to tell what the central point of the koan is. To say that both the one giving and the one receiving are blind is to speak from a very lofty standpoint. Every single living being is in the process of becoming Buddha. This is our essence. True blindness is the eye of the Buddhas of the Three Worlds who have completely lost the eye of satori. Baofu is pointing to this very fact. In this sense, all of us are just as blind as the Buddhas of the Three Worlds. We are the same in our intrinsic blindness. As we always say, “all beings are by nature Buddha.” Baofu’s statement comes to life when we realize this. Blindness, in the sense I have just outlined, means “to see without being aware of seeing.” This is true about every aspect of our lives. When you look at a flower, should you reflect upon it, you are aware that there is an “I” who is looking at the flower. But in that moment of pure awareness, there is just looking, there is only: “Oh, what a pretty flower!” There is absolutely no awareness of your looking. To see with no awareness of seeing is true blindness. Thus, there is no difference between the Buddha and ourselves. “Can you call me blind?” Baofu, who had given such a superb reply earlier in the exchange, ends up making this pitiful statement. From the foot of the mountain. He could hardly have dropped from the sky. Is he being a smart-aleck? Pretending ignorance? Have you had your dinner? The question has a double meaning. It refers to both the monk's material food and his spiritual food, that is, his realization. I have had it. This reply revealed the monk's immaturity. Is he open-eyed... "Open-eyed" means having a good understanding of Zen. Danxia is saying that he who gives food to a foolish one like you cannot have an eye to discern a genuine student of Zen. Both giver and receiver are blind. 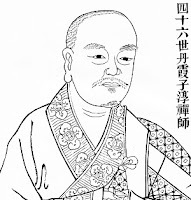 Baofu is referring to the last category (transcendent, or genuine, blindness) and also the third (true blindness of the enlightened). Are you still blind, even though you exhaust every means? Changqing, cross-examining Baofu, means here common blindness. Changqing is saying that the one who works for others must be enlightened, though Danxia seemingly says the contrary. How can you call me blind? There is confusion here simply because "blindness" is being used in different senses. The Zen masters of old did not bother to define their terms precisely. 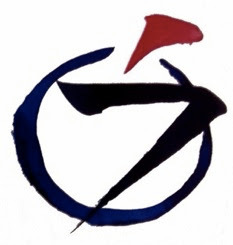 Ambiguous and illogical expressions require students to arrive at a true understanding of Zen for themselves, from their own practice, and then work out the meaning of the paradoxical statements and equivocal terms. Zen is not intrinsically illogical or paradoxical, but Zen masters indulged in paradoxes to forestall attempts at conceptual understanding. You must attain to the truth yourself, on the basis of your own hard practice, and not attempt to reach it indirectly through the medium of other people's explanations. It's impossible to have come from nowhere. Would you say that I'm blind? The same as your eyes. I dreamed a white light filled the room. This is an omen of getting to zero. The divine and the human wash ashore as one. Or bearing at most an idle doodle. On the basis of which, I claim my dinner. Wandered up from mountain's foot.